In narrower homes, moving the staircase from one side of the home to the other or changing the direction of a staircase running across the property can make a big difference. Older terraced properties often feature a single upstairs bathroom which can only be accessed via a bedroom. By moving the staircase across the house to align with the bathroom, it is often possible to create corridor access, making the room more easily accessible and potentially adding value to the home. 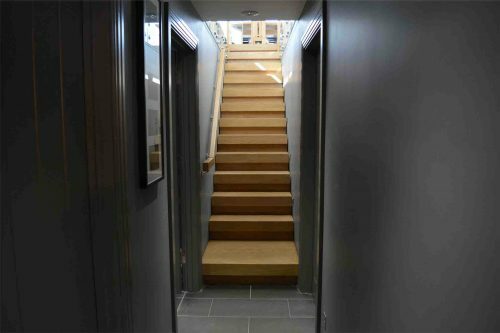 If you’d like to move your staircase to a new location but there isn’t enough space or headroom for a standard straight staircase then it might be time to add a twist. Kited and Combination staircases feature a quarter turn at the top or bottom. This allows them to fit on shorter walls and also provides an attractive feature for your home. 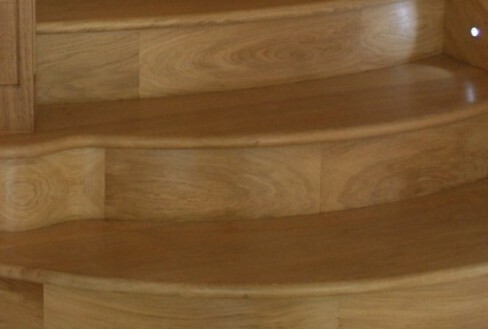 We can provide these staircases in solid timber or cast aluminium to suit your tastes. If flexibility and space saving are your absolute priorities then it has to be a spiral staircase. Spiral staircases have a compact footprint and look equally at home in the corner or the centre of a room. This means you can really get creative with the design of your home, turning the humble staircase into a beautiful focal point. 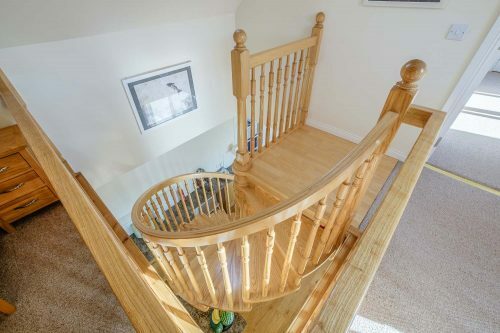 If you’re looking to retain the existing staircase location but want to replace it with something a little more stylish then we have plenty of different designs and styles to suit any home. 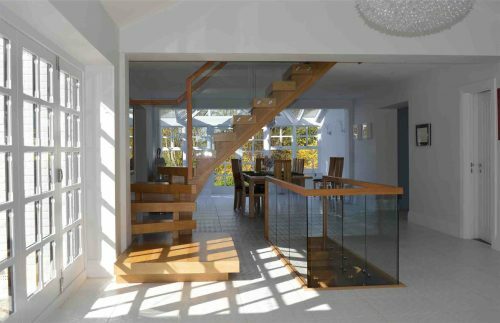 One great option is an open staircase which provides adaptable space beneath and helps to keep rooms flooded with natural light. 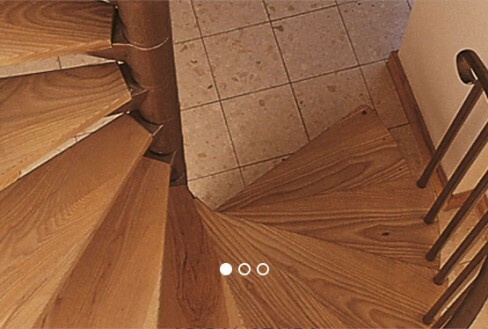 If you’re interested in moving or replacing a staircase, but not sure where to start, get in touch. 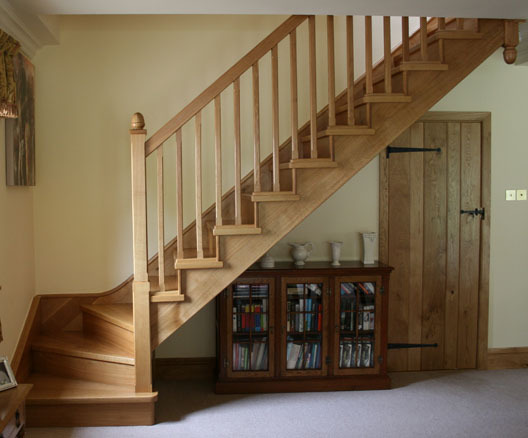 We’re always happy to provide help and advice on the design, style and location of your staircase to help you to get the best possible result for your home. You can contact us via phone: 01663 750716 or email: sales@britishsc.co.uk . Alternatively, come to our showroom in Chapel-en-le-Frith and we’ll be happy to show you some of the options.